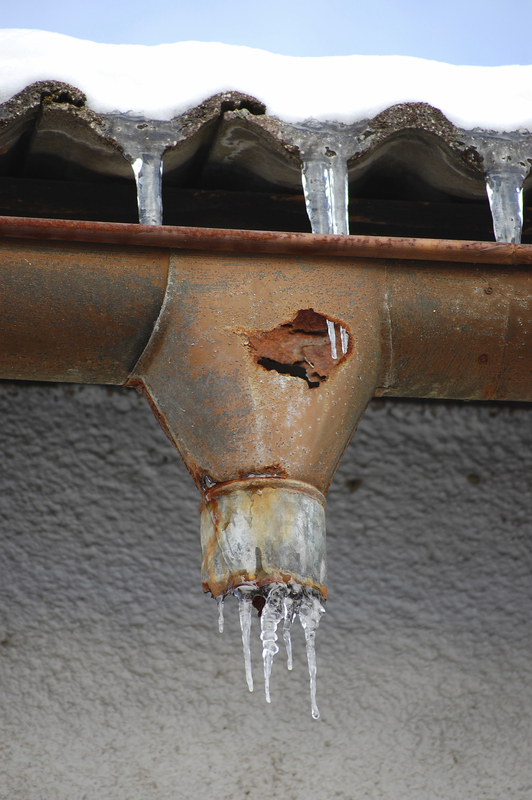 Quick – what’s the most obvious sign that the gutters on a home are dysfunctional? Right. When the guttering sections are either broken off from the home or separated from each other. What’s the second-most obvious sign? It’s not rust spots, since those may not necessarily impact the flow of water. The same goes for holes or cracks, which may be high enough up on the gutter that water doesn’t pass over them on a regular basis. 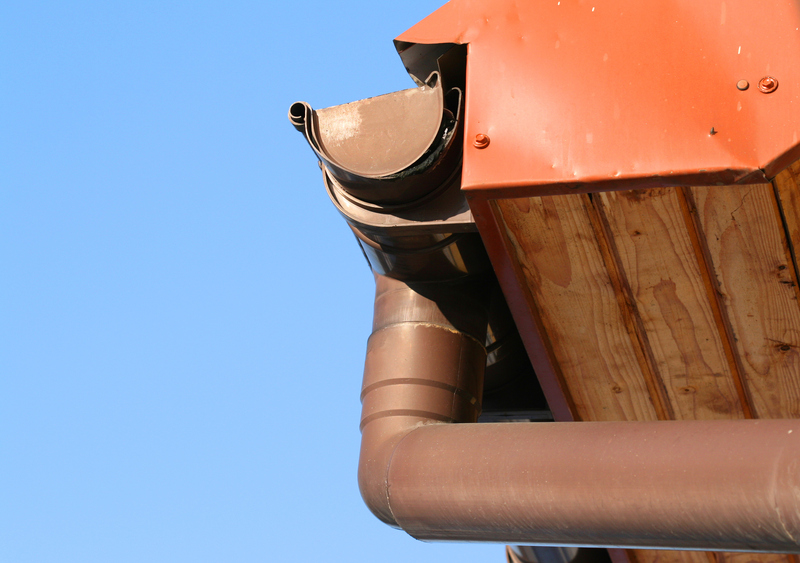 The correct answer is… sagging gutters! See how this gutter tilts away from the roofline? It looks like a sag waiting to happen. When gutters sag, they create a place where water can flow downhill in two directions. Eventually, the water spills over the sides of the gutter and onto the ground, where it can erode landscaping, flood basements, or even damage the home’s foundation. So what is the catalyst for gutters to sag? Often, sags come about simply from the warping of the gutter material. Aluminum, vinyl, or steel will expand and contract in summer and winter, respectively since they are constantly being exposed to the elements. To mitigate this problem, gutter manufacturers apply a non-corrosive coating to aluminum gutters and galvanize the steel gutters. Even so, no gutter is built to last forever; so warping will eventually misshape the metal, which could lead to sagging. Simply put, Mother Nature is not kind to gutter material. from one another. If these hangers are separated by more than a yard, too much stress may be put on each one; and the uneven weight distribution may lead to sagging somewhere along the guttering run. Also, gutters without the proper pitch may lay the groundwork for sagging. If the gutters are sloped either too much or too little in places, the water may not flow properly but will instead sit inside the gutters. And standing water places excess weight on gutters, which may result in sagging. But the most frequent cause of sagging gutters is clogs. When leaves, pine needles, and other debris fall into the gutters, they could form blockages which prevent runoff water from flowing to the downspouts. The added weight of both the stopped-up water and debris barrier will usually lead to sagging in the section nearest the clog. And if gutter screws or hooks aren’t carefully affixed to the roofline, small cracks can form at these spots – which create perfect “catchers” for loose debris that can build into a clog. Think of this as “sag-proofing” your gutters. Looking over these causes, it’s fairly easy to figure out how to prevent gutter sagging on your home. First and foremost, your gutters should be kept clear of blockage-forming debris, meaning that you should clean out your gutters two or three times a year (or after an especially heavy storm). Also, you should make sure that your gutters are correctly installed by closely inspecting attachment points for cracks and testing the pitch by running water from a hose through your gutters to ensure that it is flowing to the downspouts. 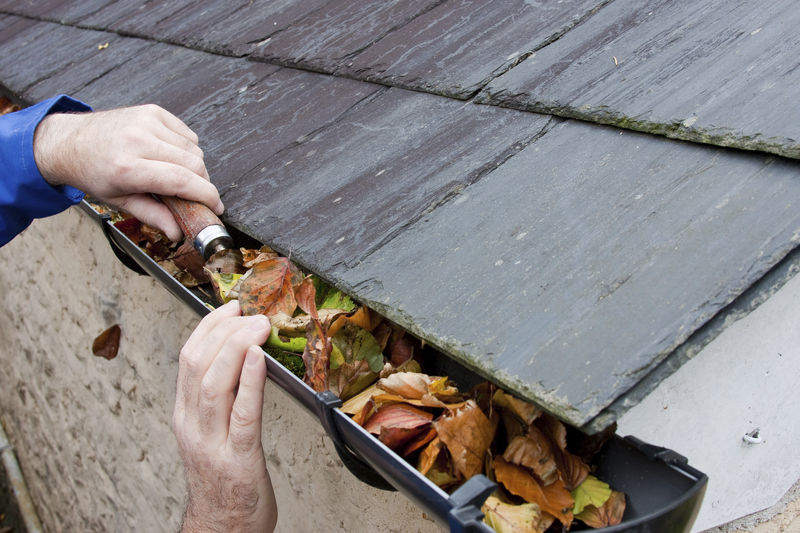 Finally, it’s recommended that you promptly repair or replace any guttering sections which have cracks, holes, or widespread rust; otherwise, these problems could get worse and result in sagging gutters. Harry Helmet can provide you with high-quality seamless gutters that not only resist the elements, but also are installed perfectly so that you needn’t worry about gutter sagging. If you don’t like cleaning out your gutters, Harry Helmet is a certified installer of the Gutter Helmet gutter protection system, which repels solid debris while allowing runoff water to flow into your gutters. So if you’re worried about gutter sagging and the problems it can cause for your home, contact Harry Helmet today for a free, on-site estimate by calling 1-888-5-HELMET or filling out this form to set up an appointment.